Carry Trakze’s protective energies everywhere you go with this exclusive, beautifully designed pendant of Trakze, mounted on a delicate round frame. Made of fine stainless steel, this pendant combines a high-end look with lasting durability and everyday wearability. I was having bad dreams badly if I didn't have enough sleep times. Maybe because I didn't have enough positive energy to turn away the negative energies or spirits, that was why I had those dreams. I did exercises/sport quite often which is at least four times a week and hope I would get better sleep. It has improved a bit but not very successful. BUT, everything has changed after I have Dorje Shugden pendant and his mantra. I feel blessed and sleep very well during the night even I didnt have sport or enough time to sleep on that day. It is really amazing! 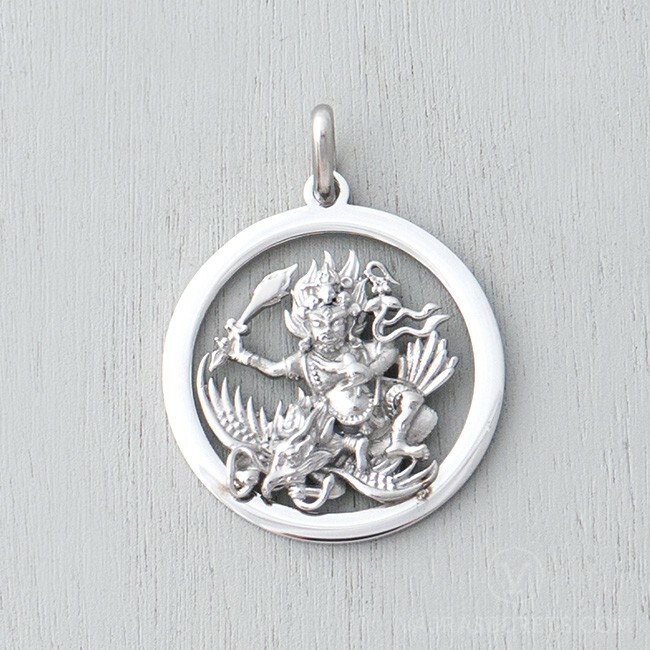 I don't have any belief in religion before but what have happened to my past two months, it makes me believing Dorje Shugden exists around us.